If you’re a parent that is looking to future proof your kids for a job in programming, Hungarian startup Codie has launched a crowdfund campaign for CODIE, a toy that teaches logical and critical thinking to kids. Geared for kids between the ages of 8 to 12, Codie teaches kids how to code while building their problem-solving skills. Using Indiegogo they have already reached over half of their $70,000 target with this gadget for children. 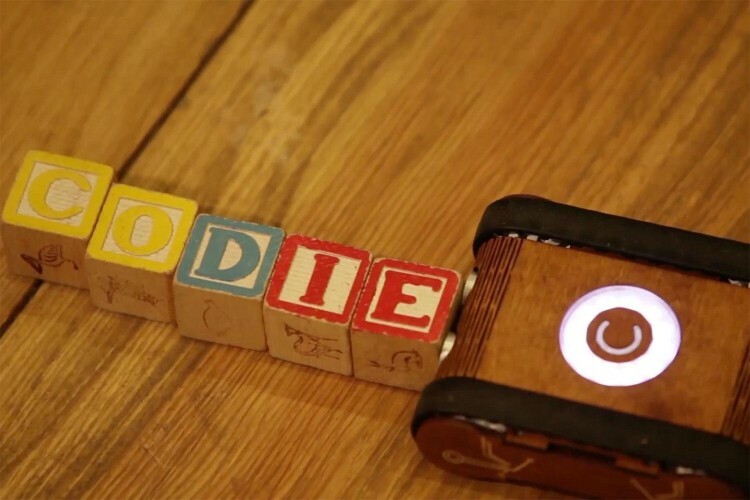 Codie is a laser-cut wood robot that you’d expect in a Toy Story movie, that can be guided by children through an iOS app (Android to follow after). Also a regular toy, it’s been deemed safe for its age demographic due to the fact it took two years to build this product. Codie was a big startup hit at the Mobile World Congress earlier this year in Barcelona. 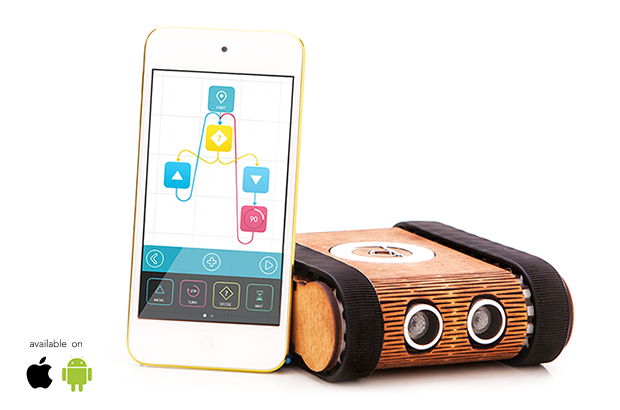 With kids already using technology at an early age, Codie can be used with iPhones and iPads to code their own robot. The Codie Robot communicates with the app, which uses visual-coding languages by way of “blocks” to program actions for the robot to take. Since the app unlocks more programming options the more your child uses it and learns from it, they will always be challenged, as well as entertained. Inside the Codie are a host of sensors that make the robot more functional. Equipped with a microphone, buzzer, programmable LED ring, sonar sensor, accelerometer/gyroscope, light sensor, motor encoders, Bluetooth 4.0, and a compass. Sounds like a lot right? Everything has it’s purpose in the Codie, and it will help them with things like programming patterns, if-else structures, loops and subroutines. Andras Hollo, co–founder and chief technology officer of the Codie project, believes that as technology continues to develop, coding knowledge will become more and more important – eventually becoming the “new literacy”, as important as music and sports. This is something that me at MY age could see myself fooling around with (wouldn’t hurt right?). But if you want to fund Codie, for around $170 donation to their campaign on Indiegogo will get you the basic Codie. The additional bonus is you can donate Codies to schools if you prefer to do a good gesture.